Customers and employees expect a digitally enabled and frictionless experience for both sales and service interactions. Digitization & Automation will enable the achievement of seamless transactions within business segments, across TD lines and outward to external business partners to drive: (i) Process Improvements/Operational Efficiencies, (ii) Risk Mitigation, and (iii) Improved Customer and Employee Experience. D&A (Digitization and Automation) has been established as a "start-up" within TD to enable process simplification and process automation using state of the art technologies such as Workflow and Robotics. 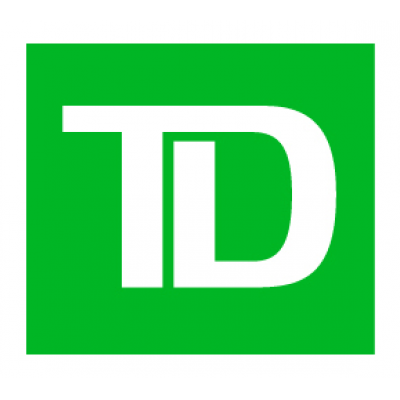 It is an exciting time to join a new organization with tremendous momentum to help TD Be the Better Bank. There's room to grow in all of it. This position will lead the IA (Innovative Automation) Shared Service Support and Operations function for technology, this includes the creation and maturation of proper operations of process automation on the Corporate Hub. Team responsibilities include overall platform management and support across the IA platform. Focus areas that this operations team leads, include overall operational health, financial mgmt, Audit remediation and currency of the shared service. Oversee incident investigations to find root causes, then put high-quality remediation plans into action. Own Audit responsibilities for the Technology Platform. Manage the operations, support, management of products, systems, applications and services for a range of clients to support them in meeting business objectives and goals. Manage relationships with delivery teams and partners, hold regular service delivery reviews. Drive and manage a highly effective controls environment covering change management, production implementation, compliance and audit controls, and business continuity. Promptly schedule test cycles and deployments with delivery teams. Ensure scheduled changes take place with proper testing, monitoring and implementation, at minimal business risk. Work with technology partners to ensure environment modifications interact appropriately, data conversion impacts are considered, and other areas of impact are addressed and meet performance requirements. Understand and identify opportunities to improve support costs (people, infrastructure, applications). Oversee system, project and technical interface integration to ensure efficient operations and high-quality client support and service. Monitor service levels, set targets, take action. Negotiate, document project deliverables, timelines, charters, costing, governance. May monitor and coordinate operating schedules and priorities for all application-related incidents to ensure effective and efficient operations support and maintenance. Ensures operations training documentation is current and readily available. Follow process management discipline for change management of all systems managed. Maintain effective dialogue with regulatory bodies and standards organizations. Continuously improve delivery promptness while balancing quality and price. May manage appropriate recovery of costs to ensure effective cost management within own area and may develop and manage budgets for IT related activities.